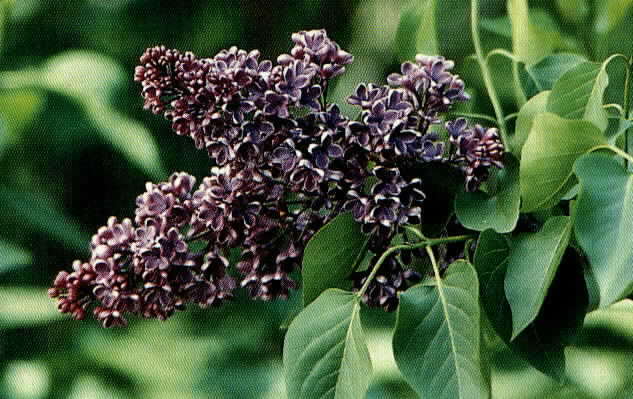 Lilacs come in lavenders, purples, and whites. They have a strong fragrance that can be overpowering to some. A white variety, unlike seen here, would work in both a white flowering and a fragrance moon garden. Some species suffer from powdery mildew, so talk to your local garden center on what choice would be best for your garden.